Beth Goobie graduated from the University of Winnipeg and the Mennonite Brethren Bible College. She is an award-winning writer of young adult fiction and is best known for her quirky and dark stories. Her novel Before Wings won the Canadian Library Association’s Young Adult Book Award in 2000, and was chosen by young readers for the Best Books list of the American Library Association. Her novel, Born Ugly, was released in September. Thank you for joining us today, Beth. Can you please start off by telling us a bit about yourself? I’d be glad to. I was born in 1959 and am currently 52 years old. I’ve been through a lot of changes in my life. I’ve lived in five different Canadian provinces, as well as a small Dutch village. At one point I was religious, and now I’m not. I’ve worked as everything from a weed-puller, janitor, piano teacher and nanny, to a group home staff. In addition, I’ve been through two major illnesses, one of which left me legally blind in my left eye at the age of twenty-four; both illnesses dramatically altered the direction of my life. All these experiences significantly changed the way I grew up thinking. I’m grateful for that. I’ve wanted to be a writer since I started reading. I still have a story about a princess that I wrote at age six. With respect, I’ve never thought of what I do as writing for a market. I write primarily for myself – for the teenager who still lives inside me. If it works for the fifteen-year-old me, there is hope it will connect with other young people. But I never think of those young people as a “market.” That’s the publisher’s job. My favorite part of writing for teenagers is living the teenage characters that I’m currently writing about. I find young people to be vivid, smart, funny, and vulnerable. Trying to keep up with the characters in my novels keeps me on my toes, makes me feel more alive in my ancient, 52-year-old body – as if there are still more changes ahead of me, as if further growth is still possible. The biggest challenge in writing for YA readers is the same as it is in writing for any genre or age group – to get up every day, ignore the “I can’t” voice in my head, and firmly, steadily write another paragraph, another page, another chapter. It’s the discipline of it all – the discipline of hope. 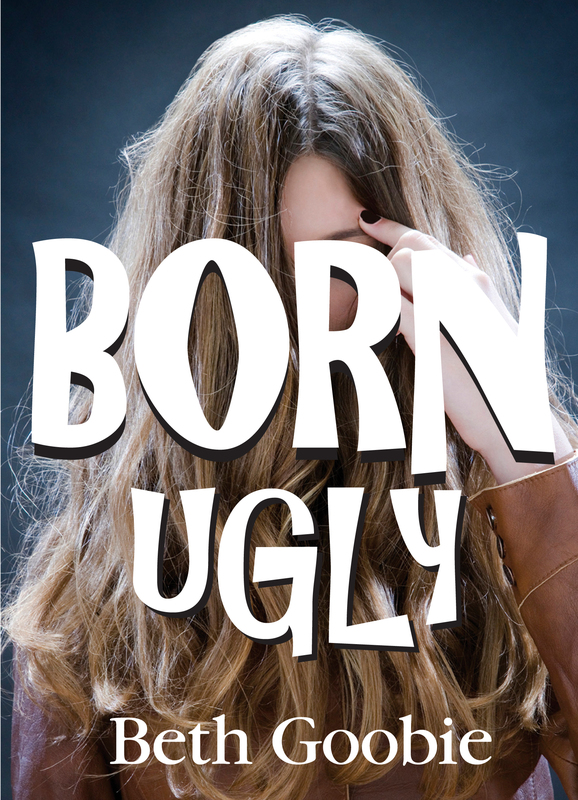 Born Ugly is about a decidedly non-photogenic sixteen-year-old girl named Shirley, and the way she is treated, which is despicably. Basically it’s about bullying based on appearance. Shirley also gets caught up – unwittingly – in the drug trade, but it’s primarily about how society treats those it deems physically unattractive. My appearance comes in around average, but in junior high I looked odd. I come from a low-income family, and in junior high I was still wearing the cat-eye glasses I had initially received in grade three, as well as polyester pants I had started wearing in grade five. In addition, I had prominent buck teeth and braces. I was an obvious target for bullies, and they let me have it – remorselessly. And, like Shirley, I was also being abused at home, so I had nowhere to turn for comfort. As an adult, I felt a need to go back and give voice to those experiences – that part of me that so often had to endure being called “Dog Face.” Born Ugly is the result. As far as I know, your local bookstore. If there isn’t one on the shelf, you can ask the clerk to special-order one in – there should be no extra cost. No. Since I’m legally blind in my left eye, the resulting double focus means a headache if I spend much time on a computer or watching TV. So I don’t. Red Deer Press has accepted an “easy-read” juvenile novel called Jason’s Why for publication in 2012. It’s about a nine-year-old boy’s first few days in a group home. And I’m currently completing my 17th YA novel. After that, I’ve got the first thirty pages of another YA novel waiting. I would like to express my immense gratitude to the Canada Council for the creative writing grant that funded the writing of Born Ugly. And if anyone is looking for a respectful, scrupulous editing and publishing experience, I heartily recommend Peter Carver and Red Deer Press. Thanks also to The Children’s and Teens Book Connection for your interest. Thank you for spending time with us today, Beth. We wish you much success.